If you’re in the market for new zoom lenses then it pays to understand what the differences are and what your money buys you. With that in mind here’s our in-depth guide to getting the best zoom for your money. 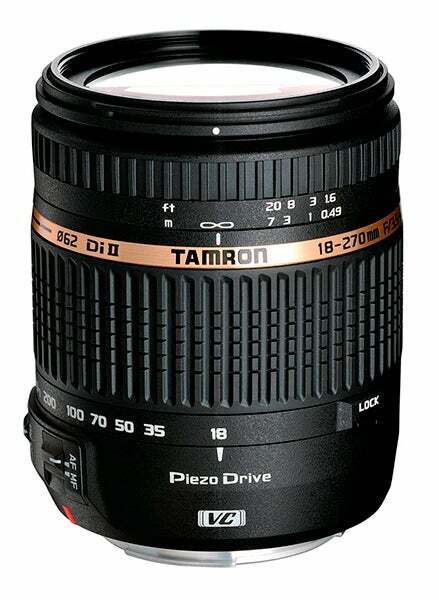 If you’re looking for a single-lens solution to lighten the load of your camera bag while travelling the Tamron 18-270mm is not only one of the cheapest superzooms on the market, it also offers one of the widest focal ranges. Nikon does make an 18-300mm zoom, however it’s double the price, while Sigma’s 18-300mm optic will cost you around £70 more. Designed for use with APS-C cameras the 18-270mm features a Piezo Drive (PZD) motor that increases AF speed while decreasing overall noise levels. Image stabilisation technology also comes as standard – except for the Sony-mount version (Sony integrate IS within their camera bodies). This provides up to four additional stops of shutter-speed over what you could normally expect to get away with. Image quality while not quite outstanding is certainly on par for a superzoom of this type and price. Distortion is quite noticeable at both extremes of the focal range, with the neutral point found at about 50mm. Fringing can also be an issue at wideangle settings. Sharpness is acceptable at lower to mid-range aperture settings, with the sharpest results obtained between f/8 and f/11. In all other respects the Tamron 18-270mm is a solid and highly practical superzoom though. 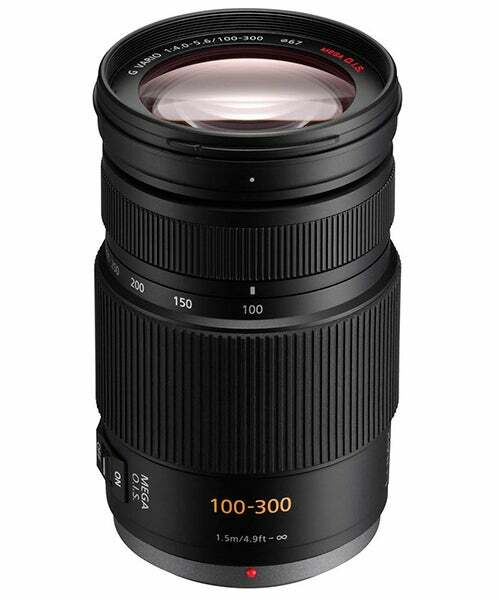 The Panasonic Lumix 100-300mm is a telephoto zoom designed specifically for Panasonic and Olympus Micro Four Thirds cameras. Given the 2x crop factor of MFT cameras this equates to a 35mm focal range equivalent of 200-600mm, making it ideal for wildlife and sports enthusiasts. Adding to its appeal the Lumix 100-300mm also benefits from Panasonic’s proprietary Mega O.I.S (Optical Image Stabilisation) technology, which is enabled via a switch on the side of the lens. This enables up to four extra stops of shutter speed over what you would usually be able to handhold safely. Focusing is speedy and also very quiet during operation. Image quality is best described as a bit of a mixed bag. In terms of resolution, the best results are obtained at 100mm, where sharpness is very good between f/4 and f/16, with a sweet spot of f/8. At 200mm however, sharpness begins to tail off from f/11 onwards. At the top telephoto setting of 300mm results aren’t quite so impressive, which is a bit of a shame as this is undoubtedly one of the zoom’s main selling points. Still, when you consider that many 600mm f/4 DSLR lenses cost in excess of £10,000 the Lumix 100-300mm still offers exceptional value for money. 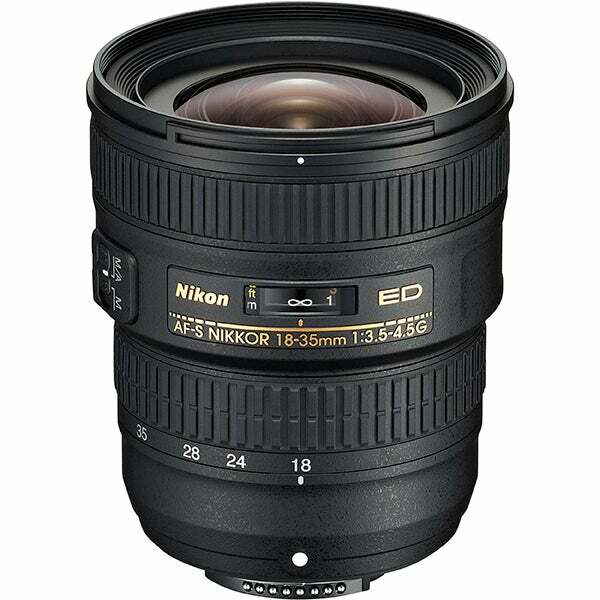 The Nikon 18-35mm f/3.5-4.5 G ED is primarily designed for use on full-frame Nikon cameras. It can, of course, also be used on APS-C Nikon DSLRs where it will provide a focal range of 27-52mm. That said, those with APS-C bodies will almost certainly find Nikon’s DX-optimised 18-55mm standard zoom a better buy, not only because it is significantly cheaper but also because it comes with built-in Vibration Reduction – something the 18-35mm lacks. For those with full-frame Nikon DSLRs though there’s plenty to like about the 18-35mm. While the maximum aperture isn’t particularly fast, critical sharpness is hugely impressive. Indeed, technical testing yields results that remain comfortably above the critical 0.25 cycles-per-pixel threshold at all aperture and focal length combinations – even when the lens is closed right down to f/22. While the 16-35mm is not particularly heavy, it feels solid and well-made. The front element is quite bulbous but thankfully also quite recessed and as such amply protected by the lens housing. The manual focus ring and zoom ring are both coated in ribbed rubber that affords a secure grip for easy operation. Thanks to Nikon’s proprietary Silent Wave Motor (SWM) the 18-35mm is also exceptionally quie tin operation too. While Fuji’s XF lens range offers a decent selection of fast primes and flexible zooms very few of them are water or dust proof. The 18-135mm ‘WR’ (Water Resistant) zoom helps to address this concern, making it an ideal choice for those with a Fuji X-T1 camera body, which also benefits from being fully weather-sealed. Constructed from a mixture of metal and plastic, the 18-135mm feels well-built and even features a rubber seal around the lens mount. In addition to zoom and manual focus rings, the 18-135mm also sports an aperture ring. You’ll need to refer to your camera’s viewfinder or LCD display though as there are no markings on it. Whereas most IS systems offer four stops of compensation the Fujinon 18-135mm provides five, giving you even more scope for shooting handheld at slower shutter speeds. Focus is acquired quickly and quietly thanks to the bespoke linear motor inside the lens. AF speeds are even quicker when the lens is paired with either the X-T1 or X-E2, both of which employ on-sensor phase-detection technology. Image quality is consistently very good. The sweet spot for frame-wide sharpness falls between f/6-f/11 at about 55mm. Used at maximum wideangle the centre of the frame remains very sharp, however there is some softening towards the edges. 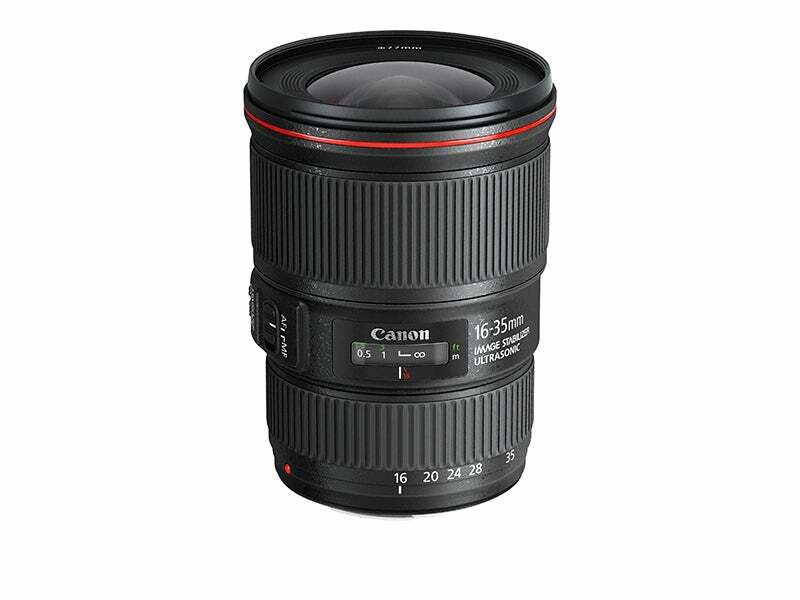 Released in the summer of 2014, Canon’s EF 16-35mm f/4 L IS USM zoom is primarily designed for use with full-frame DSLRs in order to take full advantage of its extended wideangle capabilities. That said, it can also be mounted on APS-C cameras to provide a focal range of 25-56mm. 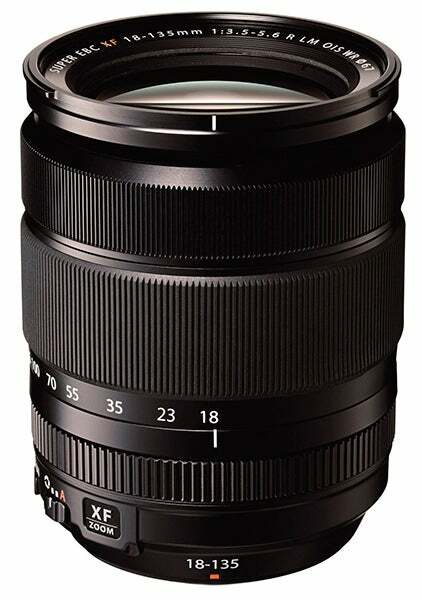 Designated as a ‘L-series’ zoom the 16-35mm is designed for professional use. As such it benefits from metal construction, weather sealing and higher-grade internal optics. The zoom also comes equipped with built-in Image Stabilisation that provides an extra four stops of shutter speed compensation when shooting handheld. Elsewhere, the 16-35mm also benefits from near silent operation and speedy focusing thanks to its Ultra Sonic Motor (USM). The lens itself is constructed of 16 elements in 12 groups, with ultra-low dispersion (UD) glass used in two elements to lessen the effects of chromatic aberrations. Image quality from the 16-35mm f/4 is impressive. You can expect some minor vignetting, however this is easily fixed. Sharpness in the centre of the frame is very good, especially when the lens is used at its sweet spot of 16mm and f/8. At 16mm there is some noticeable barrel distortion, which turns to pincushion distortion once you advance beyond the neutral point of 24mm. It’s been a year since Sony launched its Alpha7 range of full-frame compact system cameras. Since then the range has grown to four distinct models backed up by a handful of bespoke wideangle primes and standard zooms designed specifically for the range. This 70-200mm optic extends the range into telephoto zoom territory bringing with it all the build, performance and optical qualities associated with Sony’s premium ‘G’-series lens range. While the maximum f/4 aperture isn’t as fast as some professional-grade 70-200mm f/2.8 zooms offered by other manufacturers the 70-200mm does come equipped with built-in Optical SteadyShot image stabilisation technology, which provides up to four stops of shutter speed compensation. In terms of build quality the 70-200mm is sealed against water and dust for added peace of mind when shooting outdoors. Autofocus performance is impressively speedy, especially when the lens is paired with the Hybrid Phase-detection autofocus system of the Alpha 7. Image quality is generally very good indeed, with the 70-200mm resolving excellent levels of detail – particularly between 70-135mm. With the lens wide open at f/4 there is some evidence of purple fringing in the edges of the frame, along with a touch of vignetting at 70mm. Both can be easily corrected though. 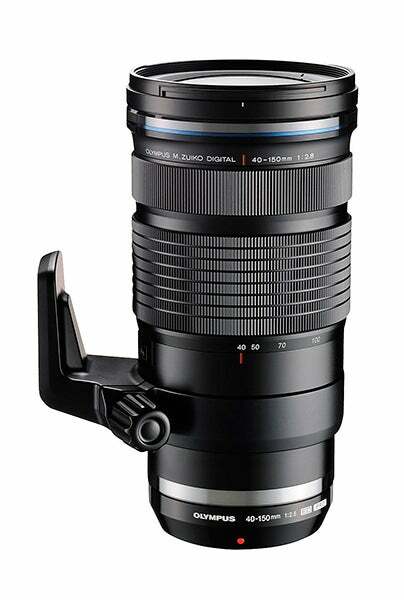 Alongside the Olympus 12-40mm f/2.8 that was released last year, this 40-150mm f/2.8 telephoto zoom is one of two professional-grade fast zooms designed to complement the Olympus OM-D E-M1 and E-M5 models. In keeping with the E-M1 and E-M5 both zooms benefit from all-metal construction as well as dust and moisture sealing. As a package they not only offer the 35mm focal range equivalent of 24-300mm with a constant f/2.8 aperture, they also offer peace of mind when shooting outdoors in less than ideal conditions. Using a bespoke voice coil motor design (VCM) the 40-150mm delivers exceptionally fast focus-lock, even when its being used to capture fast-moving subjects. The lens itself has two rings; a push/pull AF/MF ring that snaps back to reveal focus distance indicators while in manual mode, and a deep zoom ring that’s easy enough to rotate but stiff enough to avoid lens creep. Overall build quality is very good, not least because Olympus has managed to pack everything into a body that measures only 160mm long and weighs less than a kilogram. Combine this with lightning fast autofocus, easy portability and a solid build and the 40-150mm becomes a must-have for serious MFT users with an interest in sport and wildlife photography. 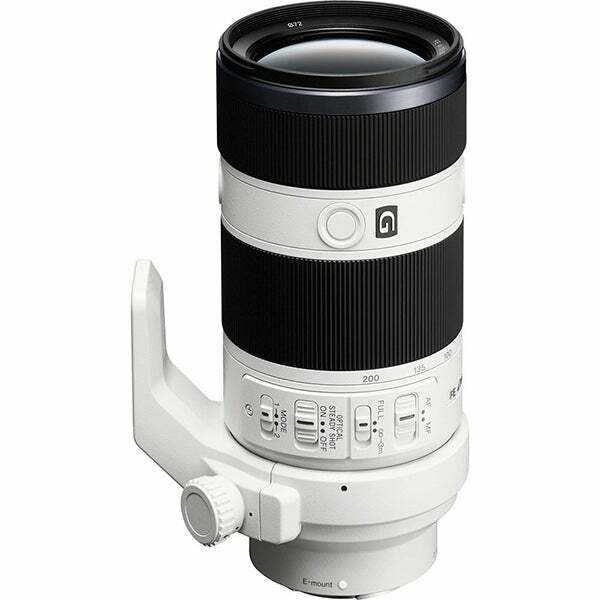 Built for use by professional sports and wildlife photographers equipped with full-frame DSLRs, the Sigma 150-600mm is a competitively priced and highly flexible super telephoto zoom. Measuring 290mm long and weighing in at just under 3kg there’s no denying that it’s a big old beast of a lens though. For this reason it really needs to be used with a tripod or monopod, otherwise you can expect your arms to ache before long. Constructed from a mixture of aluminium and plastic build quality is very good, with the 150-600mm further benefiting from weather-sealing. A metal lens hood is also supplied to protect the front element, although you’ll need to take good care of the single fastening screw as it’s easy to lose. Given the 105mm filter thread, you’re looking at a fairly substantial outlay for a protective UV filter. 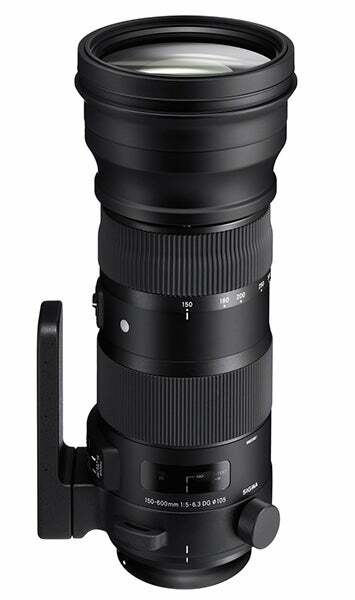 The 150-600mm comes with image stabilisation technology that offers up to four stops of shutter-speed compensation. Autofocus performance is noticeably quick, with the Hyper Sonic Motor (HSM) motor keeping things mostly silent too. Image quality is very good, with the 150-600mm capable of capturing impressively sharp images. Vignetting can be a bit of an issue though, especially when the lens is used at its maximum telephoto reach.